WE OFFER CLASS IV LASER!!! 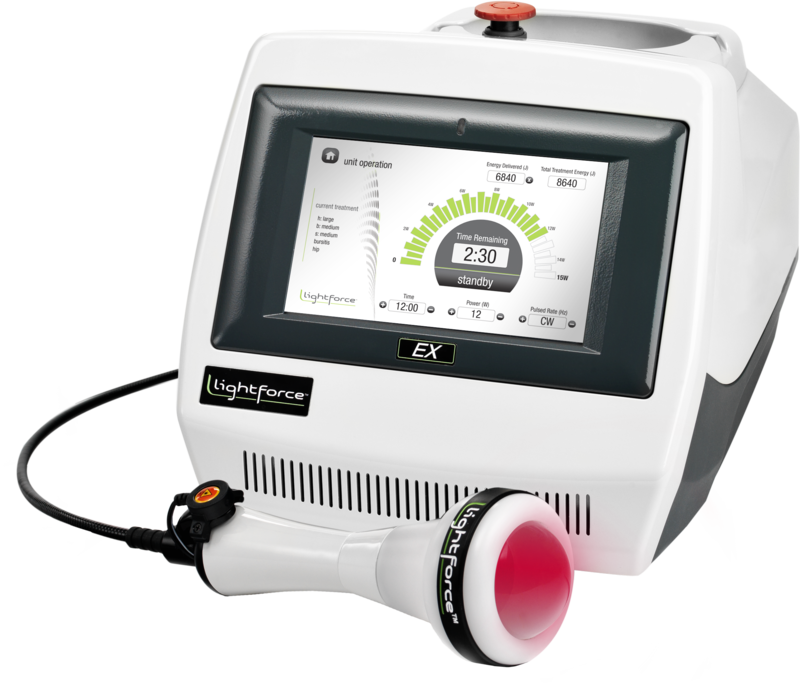 With up to 25W of therapeutic power, LightForce™ Therapy Lasers provide fast, effective relief with treatment times lasting only minutes. Litecure employs dual infrared wavelengths simultaneously of 800nm and 970nm. These Dual Wavelengths are more efficient, healing the tissue while also aiding in pain relief. Combining the Dual Frequencies of Continuous Wave and Modulation assures that each treatment you receive will be from the most advanced Class IV Laser Therapy technology. Laser therapy was born from scientific research over 30 years ago in Europe and perfected by Litecure with the latest technological advancements.